RRG restaurants consistently receive outstanding reviews for service and overall dining experience from TripAdvisor travelers. This year, for the first time, all six RRG dining destinations have been awarded Certificates of Excellence by the world’s largest travel site. TripAdvisor honors only the highest-rated restaurants in the area. 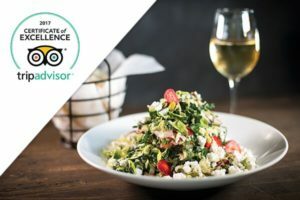 To see the rankings, click below to connect to each restaurant’s individual profile.